Smart classrooms are the future! With smart whiteboards, smart screens and even smart lighting, there’s certainly no more room for an ‘old school’ blackboard! However, we’re not talking about that sort of classroom, we’re talking about a SMART classroom – and in our case, it’s not what you put inside the classroom, it is the classroom! We’re understanding of just what it takes to construct on the grounds of a school, and that’s why our construction techniques work just perfectly with you. Within as little as two days, you could have a brand new SMART classroom for your school, that’s perfect for the average-sized class. That’s all without the need for a construction site, loads of builders or any disruption to the school. The very nature of the SMART classroom allows students to learn in a completely new, exciting and diverse environment. We’re saying goodbye to stuffy classrooms and hello to bright, spacious vibrant spaces that inspire. With the ability to have bi-fold doors and decking, fresh air and engaging environments are created so easily. Plus, in the winter, those windows and doors will create a warm, sustainable and affordable classroom that is perfect for use 365 days of the year. The power truly is in your hands to create a classroom everyone will love, and you can configure the double-glazed windows and secure French doors however you wish to enable extra light, an entrance and exit and create views the students will love. What’s more is you have the option to divide the SMART classroom to create additional rooms. Your intriguing new learning zone, office space or storage space are created by our partition walls, meaning you can have three rooms for the price of one. The traditional benefits of a classroom still won’t be lost with this new SMART way of doing things. You can still create display boards and pin up all the posters you want; you’re not restricted in any way, shape or form. Your learning space can still be personalised and made special for your students, with our strong, thick and chunky walls. We’ve installed SMART classrooms across the UK and they have become a proven and reliable alternative to extensions or the dreary portacabin. A permanent structure that really works for any school. The word is quickly spreading and schools across the UK are beginning to see just how amazing our SMART classrooms can be. There we have it, five brilliant ways your school can create additional space for students in an affordable, exciting and innovative way. With an array of sizes and seven stunning ranges, including the modern ultra or rustic Suffolk Barn to choose from, our SMARTs can blend into any background. 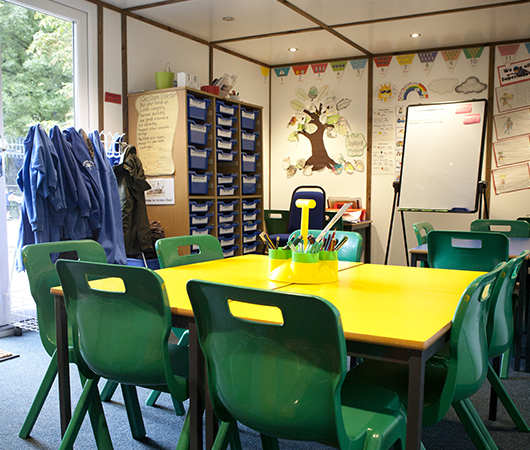 Well it’s simple, we offer a completely free, no-obligation site consultation to enable you to discuss, configure and plan with our expert garden office surveyors your new ideal SMART Classroom. We’ll create for you an itemised quotation – then the decision is over to you. Want to discover more? Have a question? Get in touch today by clicking here!